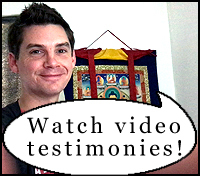 Wisdom Meditations is a 12-part teaching of Vimalamitra, the great dzogchen master. It contains techniques for calming of the body, mind and emotions through concentration and mindfulness (shamatha), and instructions of analytical meditation (vipashyana) that leads to increasing insight of the empty nature of mind. Wisdom Meditations are sutric (sutra) practices that lead to the natural state, or dzogchen. There is no empowerment for Wisdom Meditations but practicing them together with a teacher is beneficial. Wisdom Meditations are suitable to both beginners as well as to experienced practitioners. The first techniques of the series (1-7) are meditation exercises which are meant to calm one's body and mind. Practices 8-12 are vipashyana exercises that reveal the selfless nature of thoughts and emotions. Throughout the series there are certain aspects in the practices that give them a distinct dzogchen-flavour that not only help the practitioner advance in shamatha and vipashyana but also effectively reveal the natural state. These teachings are given when asked.